For a solid foundation of important statistical methods, the concise, single-source text unites linear regression with analysis of experiments and provides students with the practical understanding needed to apply theory in real data analysis problems. Stressing principles while keeping computational and theoretical details at a manageable level, Applied Regression Analysis and Experimental Design features an emphasis on vector geometry and least squares to unify and provide an intuitive basis for most topics covered… abundant examples and exercises using real-life data sets clearly illustrating practical of data analysis…essential exposure to MINITAB and GENSTAT computer packages , including computer printouts…and important background material such as vector and matrix properties and the distributional properties of quadratic forms. 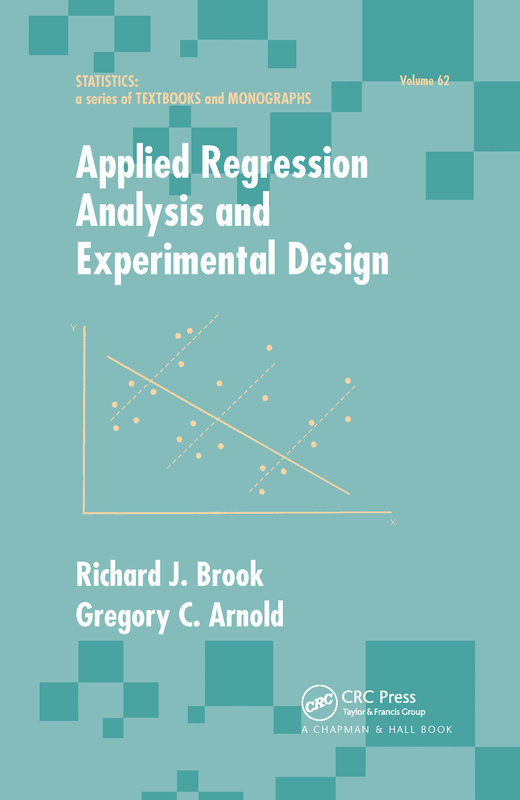 Designed to make theory work for students, this clearly written, easy-to-understand work serves as the ideal texts for courses Regression, Experimental Design, and Linear Models in a broad range of disciplines. Moreover, applied statisticians will find the book a useful reference for the general application of the linear model.